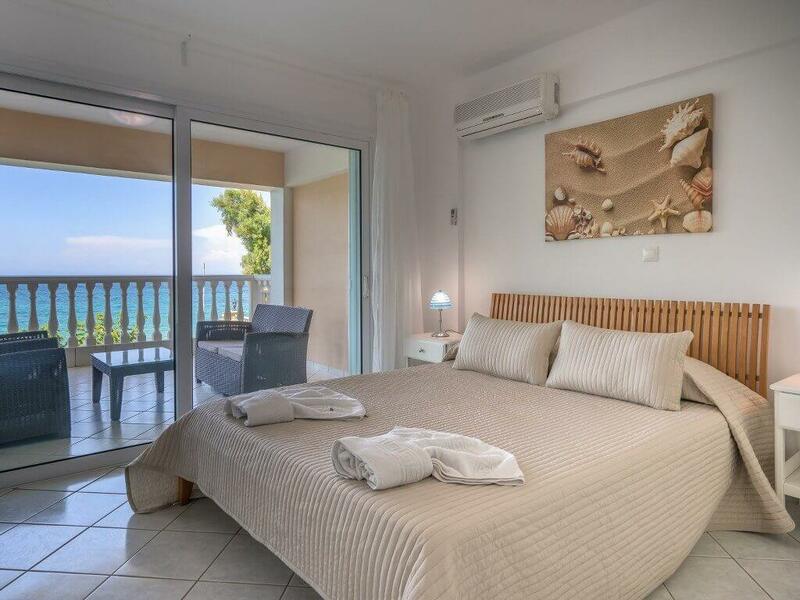 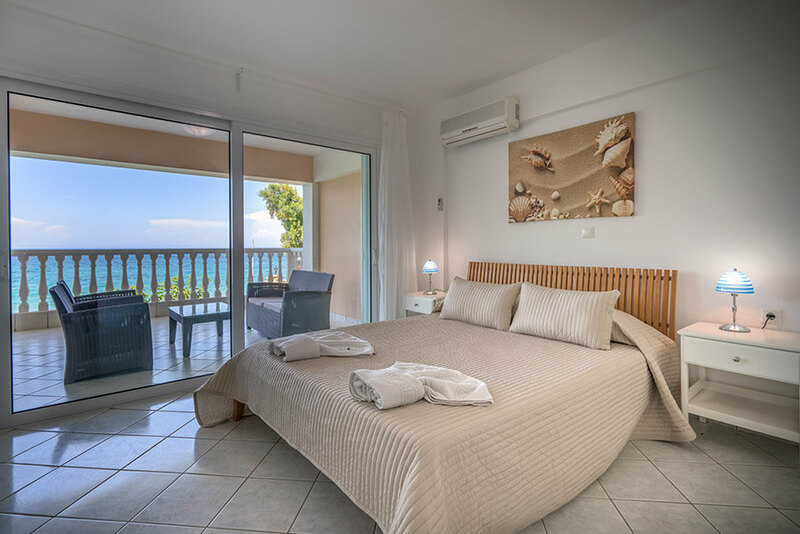 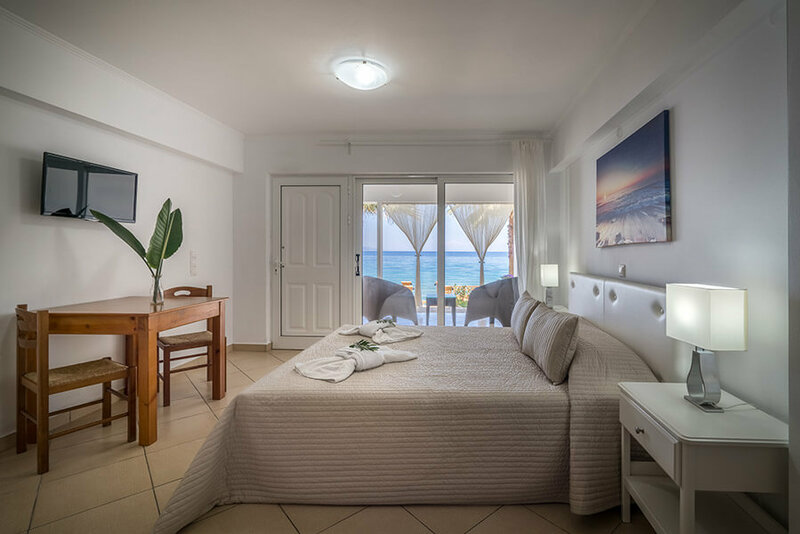 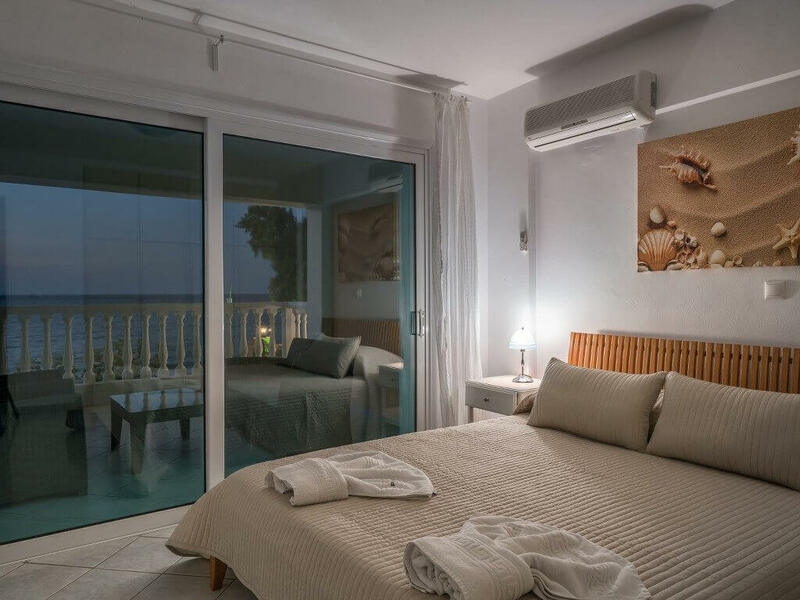 The 1-Bedroom sea view apartments offer one bedroom with double bed and a separate kitchen/living room. 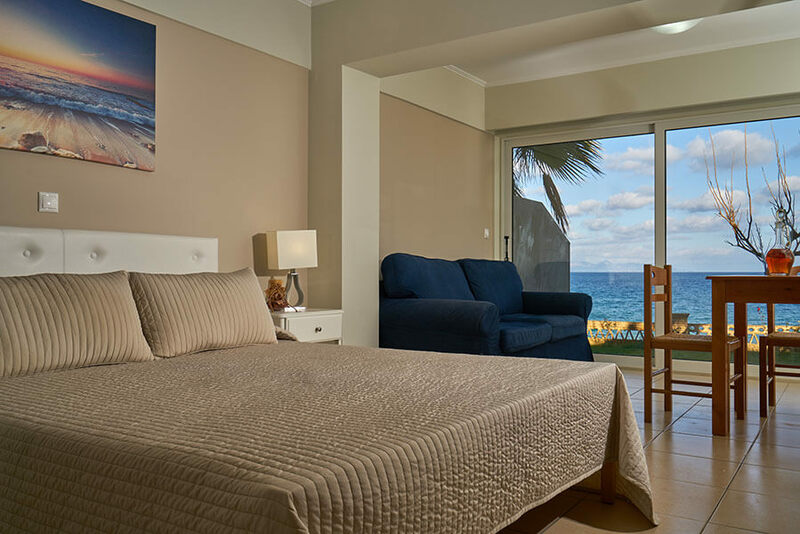 Each apartment can accommodate 3 adults+1 child. 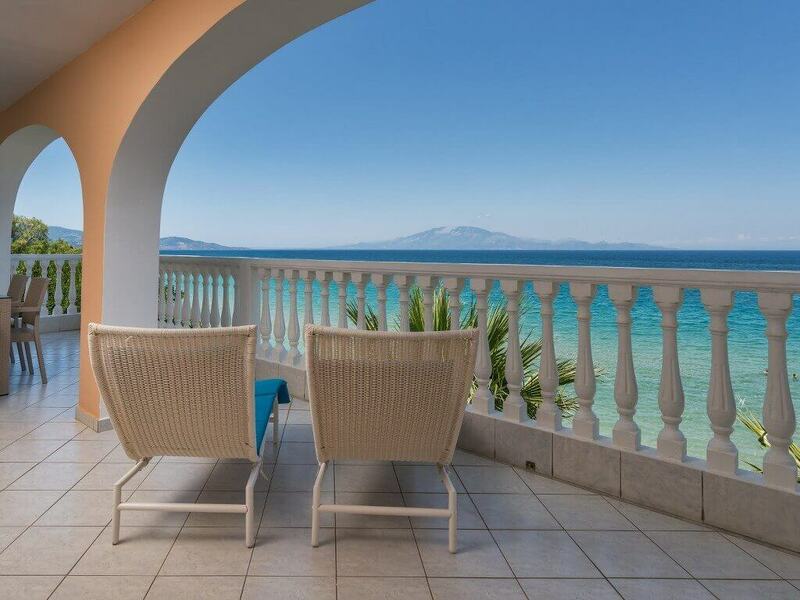 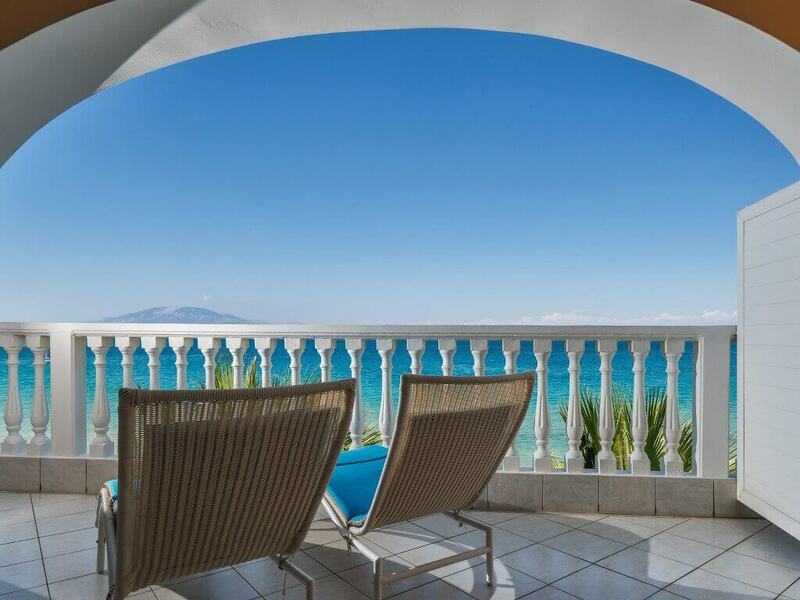 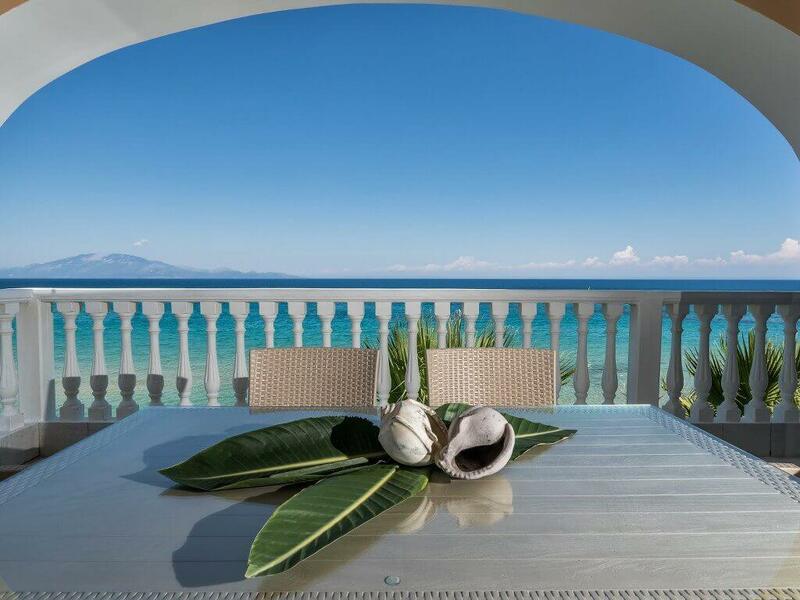 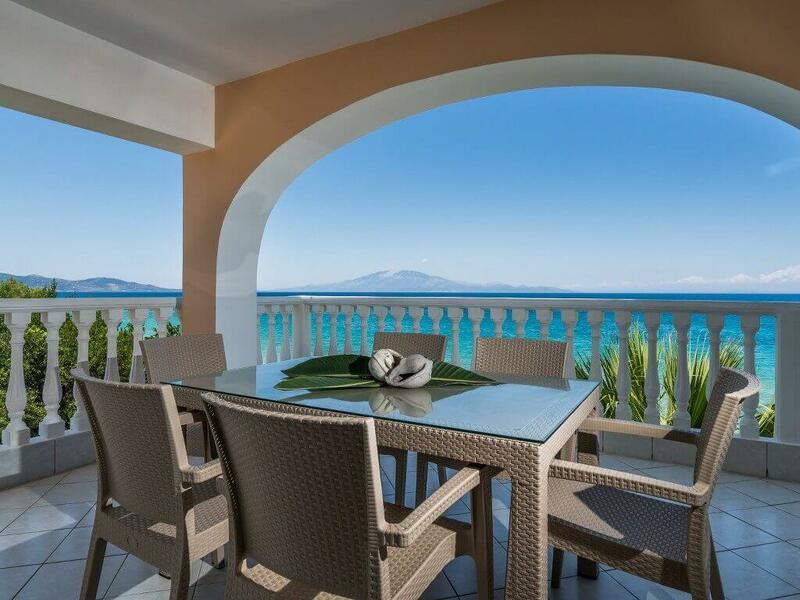 They are situated on the first floor and offer spacious furnished balconies with amazing sea view. 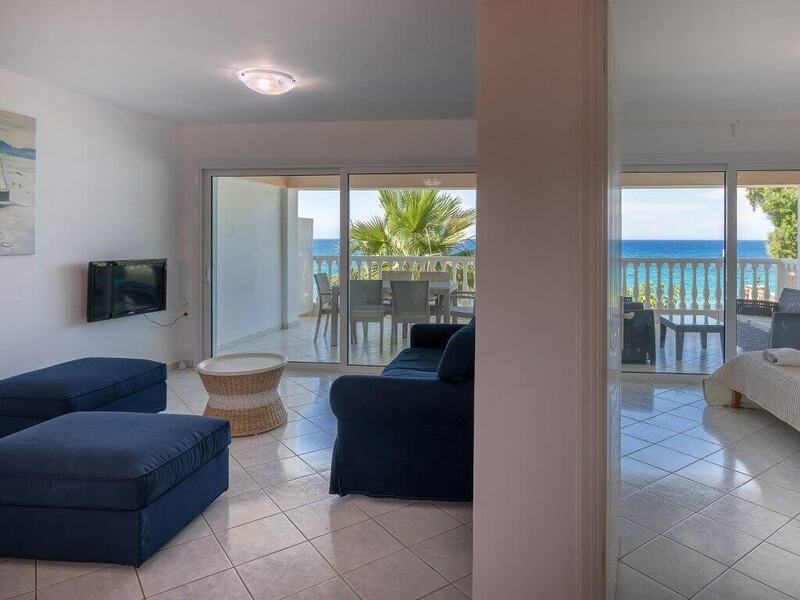 The main entrance of the apartments leads to a big kitchen and living area where a sofa bed and a dining table can be found. 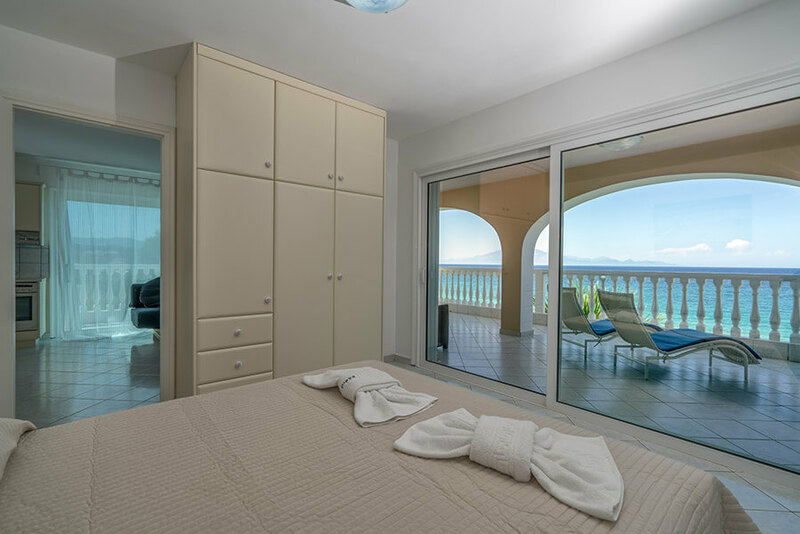 Further into the apartment there is a bedroom with double bed and sea views as well as a private bathroom with bathtub. 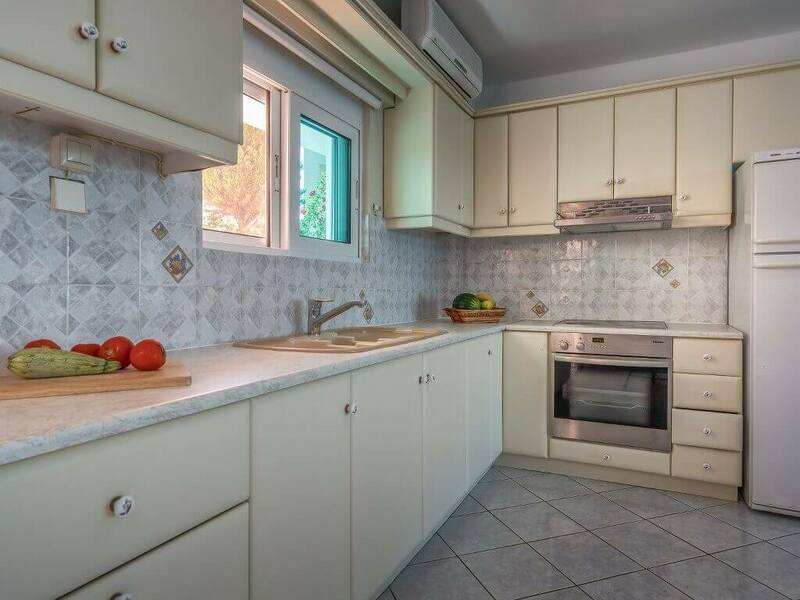 Free air-conditioning, flat screen TV and a fully equipped kitchen with ceramic hobs and oven are offered.